Goway is offering adventurous travellers a chance to discover the Antarctic Ocean – one of the most remote and mighty oceans in the world. Throughout these vast polar waters, Goway is featuring a variety of options in all styles and budgets for small vessel cruising. And with all the talk of fierce oceans and seas, Goway offers a popular choice for visiting the South Pole that avoids the pitfalls of Antarctic travel: the “Fly and Cruise” option. With this option, travellers avoid crossing the Drake Passage by flying over it, saving time and avoiding potential misery for those susceptible to seasickness. Added on to a South America vacation or taken on its own, an Antarctica cruise is an unforgettable adventure. The unique itinerary flies to the frozen southern continent from Punta Arenas, so your clients can make the most of their time exploring this incredible world. This 6 or 8-day trip to Antarctica flies travellers from Punta Arenas, Chile to King George Island in the South Shetlands. Guests enjoy a tour of the area around the Presidente Eduardo Frei Research Base before boarding their vessel, the M/V Ocean Nova, the Hebridean Sky, or the new Magellan Explorer. Sailing through the icy fjords showcases the dramatic landscapes and rich wildlife of the Antarctic. Penguins, sea birds, seals, and whales all thrive here, and zodiac vessels take globetrotters in for a closer look. Travellers will also have the benefit of expert guides and informative lectures to put their sightseeing in perspective. Travellers enjoy every comfort aboard their ship as they explore many of the islands, channels, and points around the Antarctic Peninsula. The precise itinerary will vary according to conditions, ensuring your clients a memorable journey in comfort and safety. 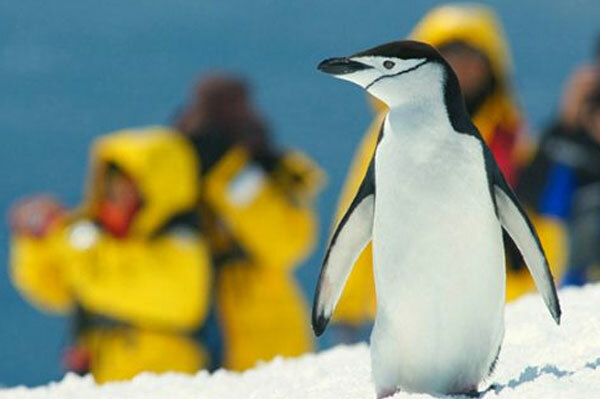 Book by Sep 30, 2018 and save CAN$4,420 on the Fly – Cruise Antarctica Expedition. Available dates in 2019 are: Nov 29, Dec 10 and 2020: Jan 2, 14 & 15, with savings starting from $3,895 based on a triple cabin. Go to www.goway.com for more.